It’s the Dog Days of Summer! 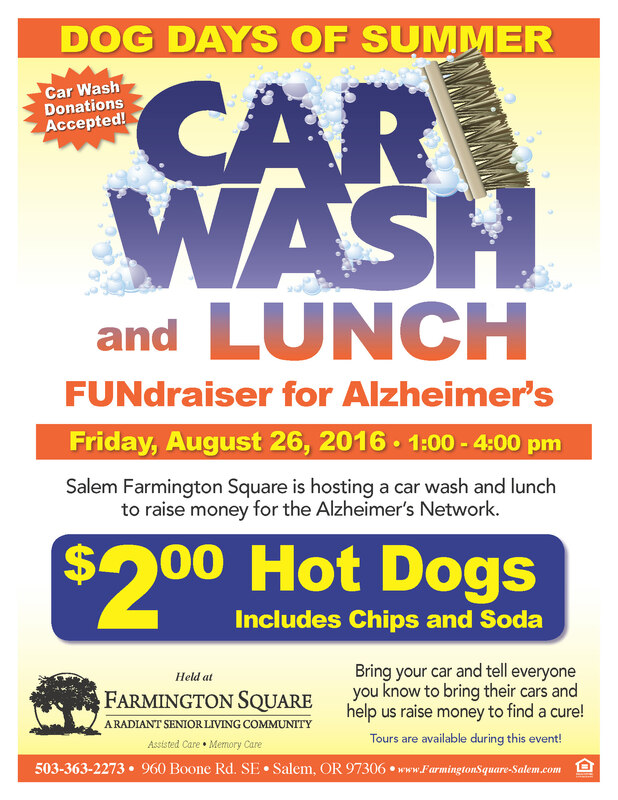 Treat your car and your appetite to our Car Wash and Lunch on Friday, August 26th from 1 PM to 4 PM. 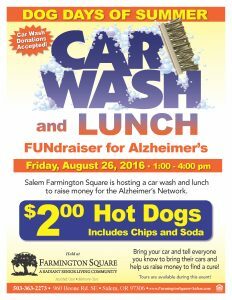 Salem Farmington Square is hosting a care wash and lunch to raise money for the Alzheimer’s Network of Oregon. $2.00 buys you a hot dog, chips, and soda! Donations accepted.